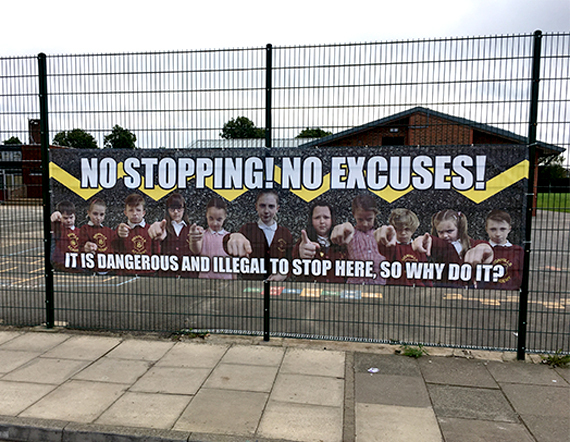 One of our regular customers Signhills School Academy asked us to create a new road safety banner to feature outside the School gates. The sign is to raise awareness to the public that not only is it dangerous, it is in fact illegal to stop on the zig zag lines, even if it is momentarily! 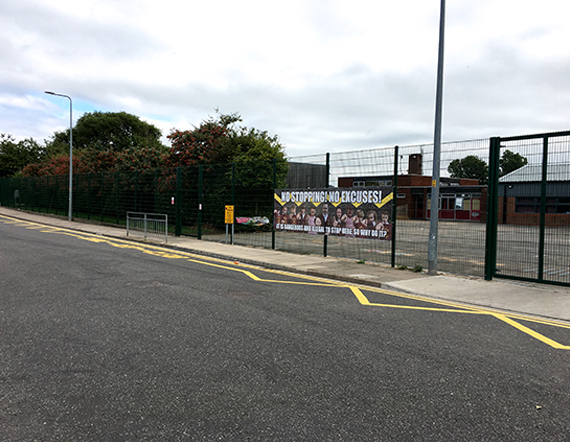 See below the banner up and ready at the school gates featuring some of the current pupils. This entry was posted in The Studio and tagged design, Road Safety, Signhills Academy. Bookmark the permalink.